If it were possible to detect a muon with your ears, what would it sound like? How can complex concepts of Physics such as the Doppler effect be expressed musically? How does one utilize the experience of time in a musical composition to communicate the quantum effects of high energy particles? Federico Iacobucci, a pianist, composer and choir conductor, has been considering some of these questions in order to translate the concepts of muography into music. 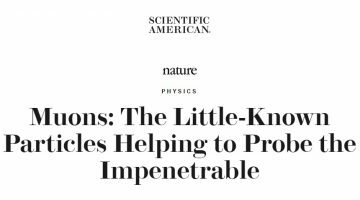 Through a series of conversations with Hiroyuki Tanaka, they have been collaborating to create a symphony which truly describes not only the attributes and applications of muography, but also its scientific underpinnings. It will incorporate the journey of a muon through a volcano, pyramid and ultimately back to the universe. 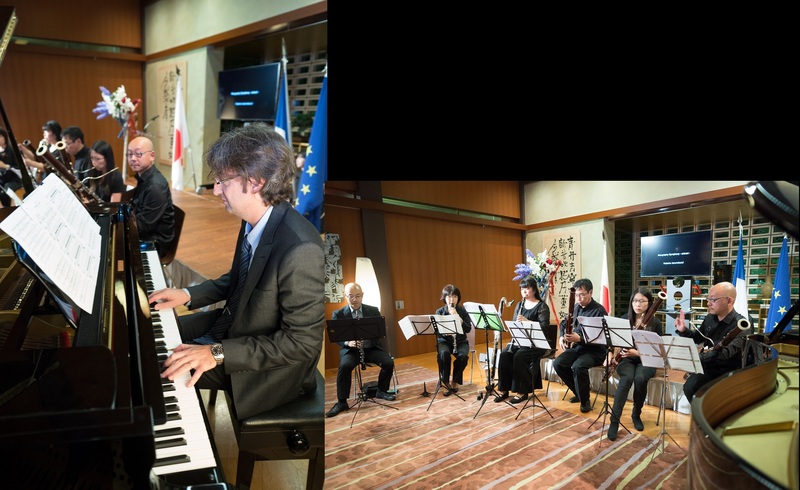 After giving a lecture at the French Embassy to Japan on the development of a shorter, primary composition to grapple with some of these ideas, Iacobucci and IPGP musicians performed a selection from this composition at the Residence of the French Ambassador. This event occurred during the reception for participants of the Muography conference along with other members participating in the French-Japanese Week on Disaster Risk Reduction events. Federico Iacobucci studied composition and piano performance at the Conservatory of Music Santa Cecilia, Roma subsequently composing music for the Moravia Foundation, Renzo Aroncia’s film “La Bella Verita” and conducting the San Bellarmino Church’s Polyphonic Choir in Rome. He has a keen interest in Physics and its connection to music and has given lectures on the music for Physics students at Yokohama City University and at Tama Art University as part of the “Answer From the Universe Vision Towards the Horizons of Science and Art Through Muography” exhibit. On December 1st, 2018 this collaboration will culminate in the premiere of the Muography Symphony which will be performed by the Tokyo Universal Philharmonic Orchestra at a public concert, at the Italian Institute of Culture, Tokyo as a highlight of the upcoming Muographers General Assembly 2018. By arrangement with the Hungarian embassy to Tokyo, Hungarian clarinetist Istvan Kohan has been invited as a soloist for this performance. Kohan’s clarinet part will represent the muon itself in its journey from another galaxy to the earth and beyond.